USDA Home Loans – Looking to purchase a new home in rural California with no down payment? Curious to find out more about how California USDA home loans work? USDA guaranteed mortgage loans in California give people in rural areas the ability to buy homes with no down payment and no out of pocket costs. USDA home loans also come with great interest rates – since the Department of Agriculture guarantees your loan against default. How USDA Loans work? This program assists approved lenders in providing low- and moderate-income households the opportunity to own adequate, modest, decent, safe and sanitary dwellings as their primary residence in eligible rural areas. Eligible applicants may build, rehabilitate, improve or relocate a dwelling in an eligible rural area. Who may apply for California USDA home loans? As a direct USDA mortgage lender in California, MI Mutual Mortgage company offers low USDA mortgage rates in California and competitive closing costs. Interested in a California USDA home loan? Call today or apply online for a free loan estimate. Are you a 1st Time Home Buyer? A California FHA Loan might be the best loan option for you. We also offer California VA home loans . Not sure which loan type is right for you? Call today to speak to one of our home loan specialist. Fast Closings – Typically 35 Days or Less! 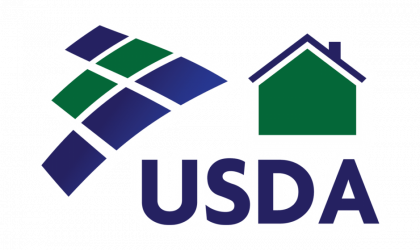 Have Questions about USDA Mortgages?? Speak with a USDA Loan Specialist!